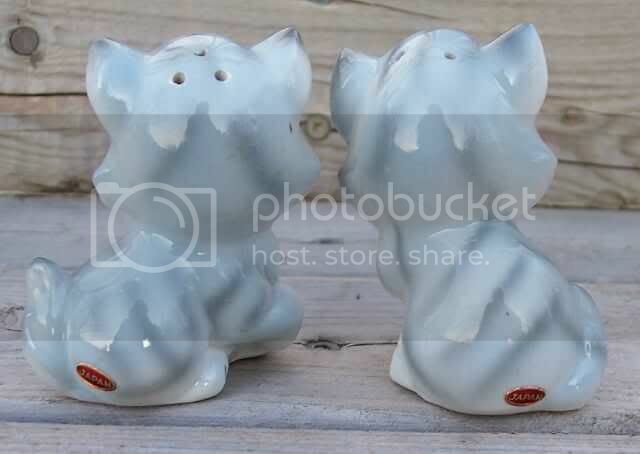 Old Japan Grey Tiger Striped Kittens with Pink Bows Salt 'n Pepper Shakers Set. 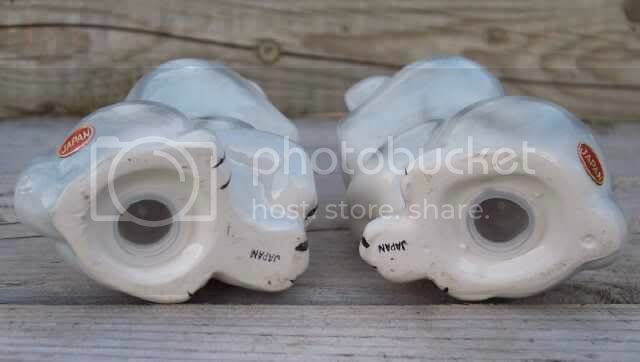 Old Salt & Pepper Set. Cats / Kittens with old plastic stoppers. 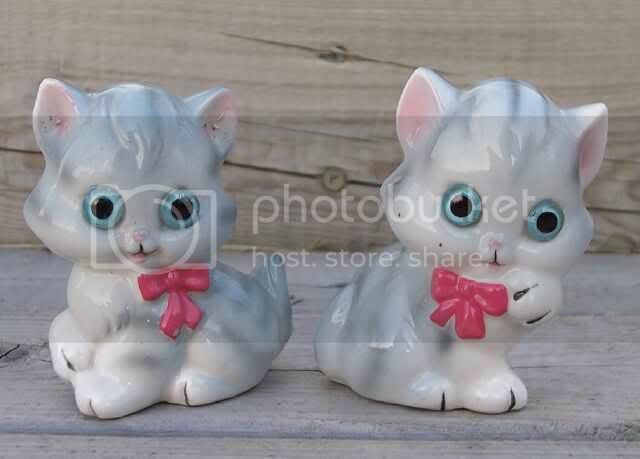 Looks like they have glass eyes. Marked Japan on bottom. Size is 3" H by 2" W.
Excellent. No chips or cracks. US buyer to prepay sale amount and shipping of $7.00 USD. International sales welcome, shipping will be $12.75 USD. Only electronic payment method available at this time is Paypal. For all other payment methods please e-mail. This item is shipped from Canada, so please allow sufficient time for delivery due to cross border customs. Please check out my othersales and my store items.